efficiently, cost effectively, and within your desired schedule. We offer the ability to quickly deliver solutions in a variety of thermoplastic materials and colors, while meeting requirements for aesthetic, mechanical, thermal, and optical properties. Listed below are a few materials we use to manufacture various products. There are many more available. Our engineering expertise and hands on process control enable us to be highly flexible and innovative. There are many quality control checks like product tolerance, color, and physical appearance that are made at every step of the manufacturing process. From concept to completion, Cir-Q-Tek is committed to helping you achieve your goals with your complete satisfaction in mind. What's more, we continually enhance our global sourcing to ensure the seamless worldwide transfer of technologies and capabilities. 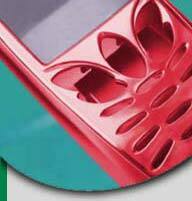 Bottom line: Cir-Q-Tek is equipped to deliver injection molded products of the highest quality and reliability. In addition, we can build custom molds to meet the needs of any U.S. injection mold producer. A team of experienced engineers, designers, and toolmakers work with you to define your concept, construct a prototype, and build your custom mold. The end result is a mold that serves your specific needs, giving you a competitive advantage at a significantly lower price.